Watch_Dogs, right? Holy cow does it look incredible. But the question that’s been pestering me since last year’s E3 was “When can I play this? !” Well, Ubisoft is here to the rescue. November 22 will be the day I take off of work to play Watch_Dogs. Check out a new trailer below. Yes please. And since this is Ubisoft we’re talking about, of course there’s a limited edition. Called the Dedsec_Edition, this edition features a steelbook case for the game, the game’s soundtrack, 4 AR cards, an art book, a statue of Adan Pearce, and three DLC packs (Breakthrough Pack, Signature Shot, and the Palace Pack). No MSRP was given, but I’m going to guess $99.99. 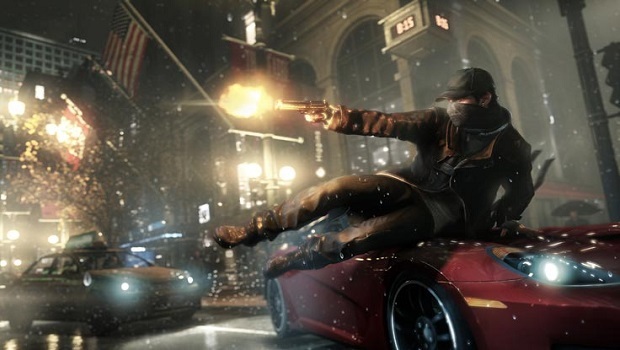 Are you guys getting excited for Watch_Dogs? Are you going to get that super baller edition? Let us know in the comments.